Lily's life is turned upside down when she is forced to leave her friends to spend the summer on a remote ranch with her nature-loving aunt. Convinced her social life is over, she is surprised to meet an unlikely group of friends and embarks on an adventure of a lifetime. 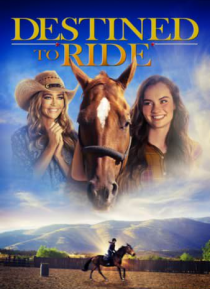 When her aunt is threatened by unfriendly neighbors, Lily knows it is up to her and Pistachio, the horse she has discovered an … unbreakable bond with, to save the ranch and to find her destiny along the way.